WASHINGTON (AP) — House Republicans would leave intact current tax rules on retirement accounts popular with middle class Americans and maintain a top income tax rate for million-dollar earners as negotiators scrambled to finalize the first major overhaul in three decades. Brady said the panel hoped to meet Trump’s goal of a cut in the top corporate tax rate from 35 percent to 20 percent but allowed that the change would not be permanent because of arcane Senate rules. Top Republicans vowed to release the measure on Thursday after missing a self-imposed Wednesday deadline and dismissed rumors that the unveiling might be further delayed. The ambitious timetable calls for passing the measure in the House by Thanksgiving. 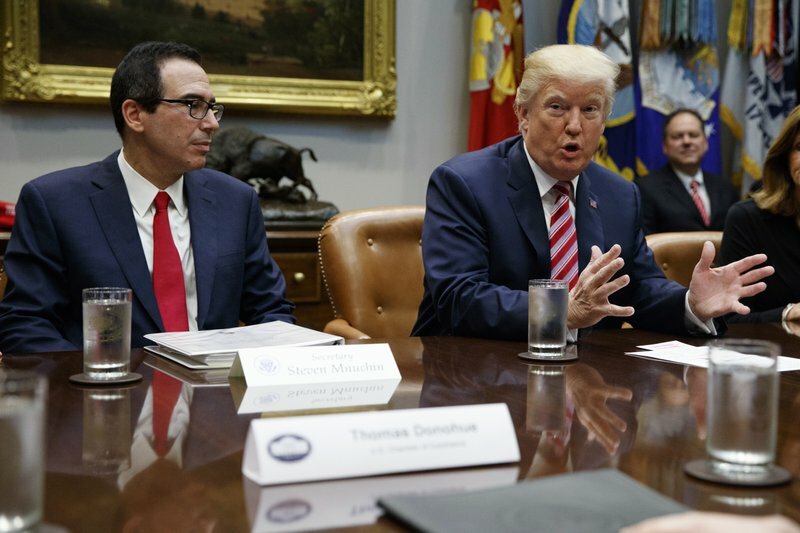 The plan outline released last month by Trump and Republican leaders in Congress called for shrinking the number of tax brackets from seven to three or four, with respective tax rates of 12 percent, 25 percent, 35 percent and to be determined. The tax system would be simplified, and most people would be able to file their returns on a postcard-sized form. Meadows said he was worried about eligibility limits that could prevent some businesses from taking advantage of a lower 25 percent tax rate. Democrats have repeatedly complained the plan was too favorable to business and the wealthy and contradicted Trump’s rhetoric of bringing relief and economic benefit to the stressed middle class. 0 Response to "House GOP’s evolving tax bill leaves retirement plan intact"